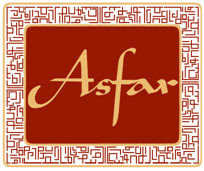 Asfar is an accredited Erasmus+ European Voluntary Service delivery organisation offering opportunities in Europe and where possible in the Caucasus, the Middle East and the Balkans, as part of our commitment both to Young People and in providing volunteering opportunities to make a difference to society. The Erasmus+ programme offers young people the chance to make a real difference to the world – and to their own life – through the European Voluntary Service. The European Voluntary Service (EVS) provides young people with the opportunity to express their personal commitment through unpaid and full-time voluntary activities in a foreign country within or outside the EU. The EVS seeks to develop solidarity, mutual understanding and tolerance among young people, thus contributing to reinforcing social cohesion in the European Union and to promoting young people’s active citizenship. Their learning experience is formally recognized through a Youthpass. Participation is free for the volunteers (with the exception of a possible contribution to travel costs) who also get board and lodgings, insurance cover and an allowance for the duration of the project. EVS volunteers leaving for more than two months can get additional support to learn, and test the progress in, the language used during their volunteering. To learn more about EVS, visit the EU’S Erasmus+ EVS page. To make an application to participate in one of Asfar’s Erasmus+ EVS programmes, please complete our standard Erasmus+ application form here and email your CV to info@asfar.org.uk for us to send to our EVS partners in different countries.